Sanwari Women’s Power Club Organizes Health Awareness Camp at SKR Public School, Inderpuri. 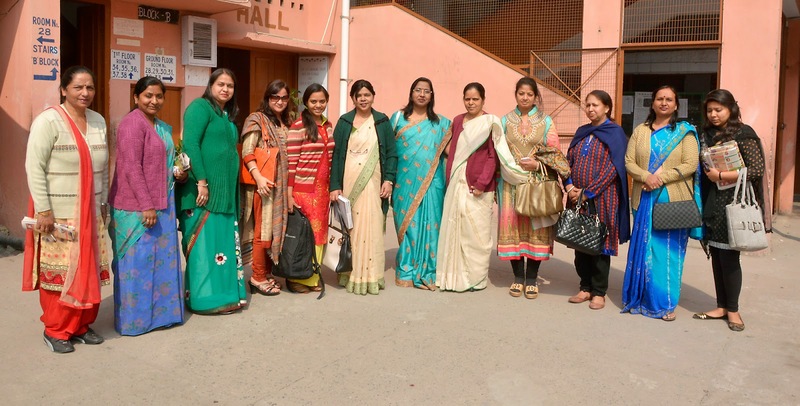 Sanwari Women’s Power Club in line with its philosophy of women’s empowerment today organized a medical camp for the girls of SRK Public School in New Delhi’s Inderpuri. The camp held under the aegis of Sanwari had a renowned gynecologist specialist Dr Mrs Shiv Lata Gupta of Lok Clinic and Hospital, Janakpuri along with Miss Liza Bhansali a dietician, who stressed upon the importance of balanced diet plan. Girl students mostly in their teens consulted the doctors on their health issues. The Medical Camp at SRK Public school was a very first of its kind and went on till afternoon. School authorities thanked the Sanwari members for their noble initiative and their outstanding contribution to the concept of women empowerment. All the participants shared their positive feedback & expressed their eagerness to look forward for many such noble initiatives. Sanwari Women’s Power in line with its philosophy of women’s empowerment is organising a special medical camp for the girls of SRK Public School in New Delhi’s Inderpuri on 11th February, 2015. The camp is being held under the aegis of Sanwari who have roped in a renowned gynecologist specialist Dr Mrs Shiv Lata Gupta of Lok Clinic and Hospital, Janakpuri along with Miss Liza Bhansali a dietician. Girl students mostly in their teens will be able to consult the doctor free of charge. Sanwari Women’s Power is a philanthropic association of women who have been working in the field of women empowerment for last 4 years. The Sanwari has organised many such health camps and have been actively participating in honouring each effort for the cause. The Medical Camp at SRK Public school is a first of its kind is dedicated towards the problems faced by young girls in today’s scenario. Apart from their health issues the girls will also be able to consult a dietician who will stress upon women’s nutritional needs. The medical camp and a dietician check will start at 10 in the morning and is expected to conclude at about noon.